Long hours at my computer have had me hankering for tropical vibes lately – the sun, a pool and palm trees never fail to put me in an instantly brighter mood. On a recent lunch date back to the Beverly Hills Hotel, I was admiring that oh-so iconic Martinique Banana Leaf Wallpaper – a timeless print I’ve been longing to integrate in my own home for some time. 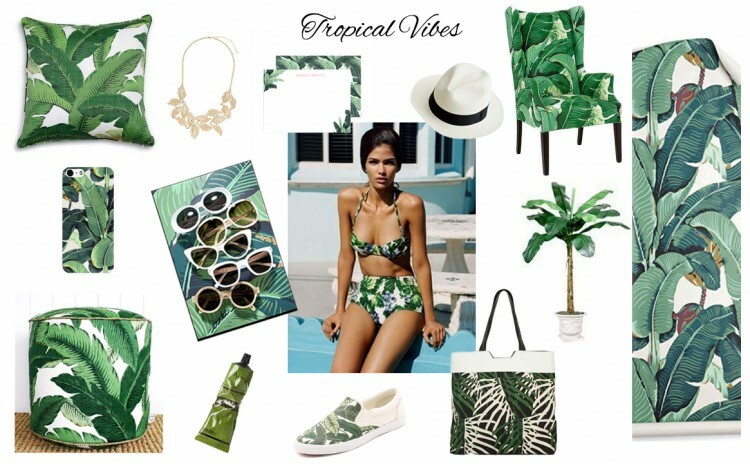 With summer on its way and an imminent birthday trip to Palm Springs coming up, I can’t help but get inspired to share my love for the banana print leaf motif.